HUSH LINE Extreme Hobby hooded t-shirt. When you value the quality of the EH product, and minimalism is a conscious resignation from what limits you in your material life. This is not about asceticism, it's about the pleasure of dealing with the best things. T-shirt signed with our popular "hashtag". Longsleeve Extreme Hobby HUSH LINE, characterized by high quality material. Imprints are enhanced effects HD and gel. Cut was created by us from scratch for a sense of comfort and originality. Longsleeve Hooded Extreme Hobby HUSH LINE, characterized by high quality material. Imprints are enhanced effects HD and gel. Cut was created by us from scratch for a sense of comfort and originality. 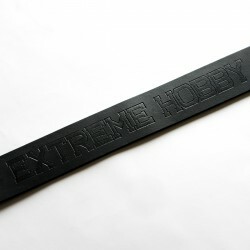 TAPE Extreme Hobby T-shirt. Our autumn Tape offer turned out to be a hit, therefore we decided to extend the life of this successful line and apply it in the spring offer. A wide range of colors should meet the expectations of the most fastidious. MT SPORT Extreme Hobby T-shirt. Minimalist but sportily. This is our new signature, which we have just applied in the new and more advanced sports line. Originally intended for the EH Ambassadors, a huge interest prompted us to introduce this design to our regular streetwear collections. Now each of you can feel our Ambassador. For us it will be a great honor. 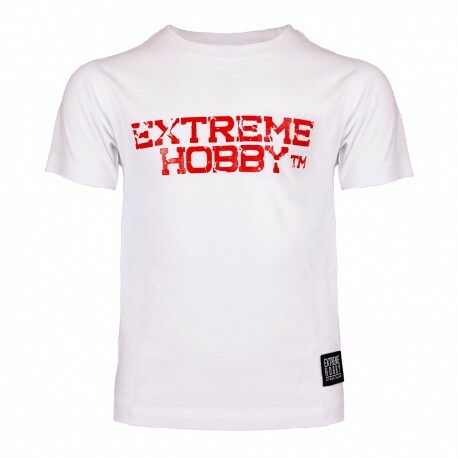 EH TM Extreme Hobby T-shirt. The font from which the print is made has been designed especially for EH. We have applied this font to our original cut of the shirt, adding a gel effect. The whole has been broken by bold, unusual colors for this collection. And all this to get out of the classic color palette. We just like it when something is different. 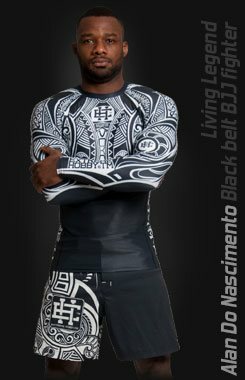 Longsleeve Extreme Hobby MT DESIGN. MT DESIGN Extreme Hobby T-shirt. Another offer for lovers of our brand who value peace and shun from extravagance in everyday life. 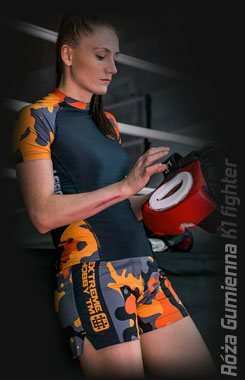 When in your active life the quality of sportswear and design complement each other, and you realize your passions with us, show it every day. Do you appreciate the pleasure of communing with the best things? EH will meet your expectations. 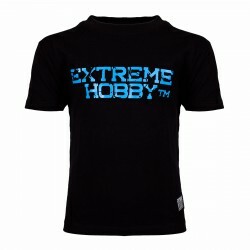 EH TM Extreme Hobby kids t-shirt. 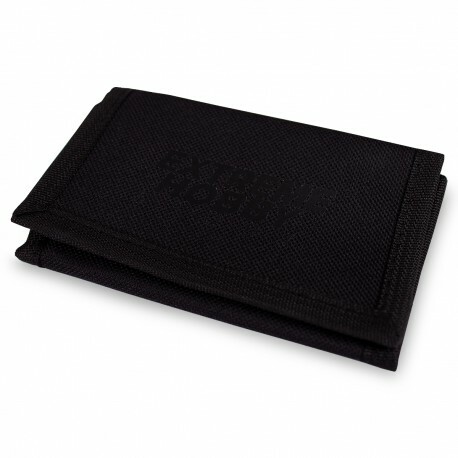 Poliester wallet EH SPORT Extreme Hobby. Crewneck BLOCK Extreme Hobby - made of high quality cotton 290g / m, - welts in the sleeves and at the bottom of the sweatshirt, - silicone rubber with the Extreme Hobby logo on the sleeve, - stripe with the Extreme Hobby logo on the shoulder, - neck strap to protect against abrasions, - high quality printing made with specialized technology, - material composition: 90% cotton, 10% polyester, - a product manufactured and sewn in Poland. Crewneck OUTLAWS Extreme Hobby - made of high quality cotton 290g / m, - welts in the sleeves and at the bottom of the sweatshirt, - silicone rubber with the Extreme Hobby logo on the sleeve, - stripe with the Extreme Hobby logo on the shoulder, - neck strap to protect against abrasions, - high quality printing made with specialized technology, - material composition: 90% cotton, 10% polyester, - a product manufactured and sewn in Poland. 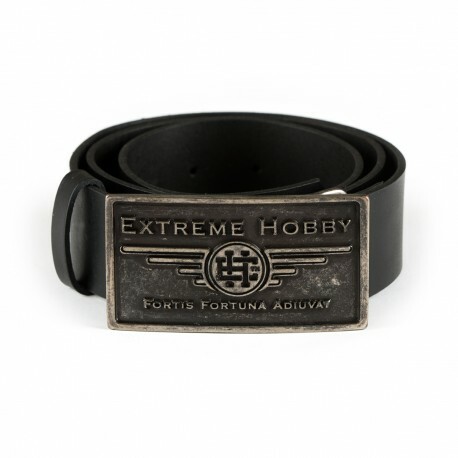 Leather belt WAY Extreme Hobby. Leather belt is an excellent choice for men who value practical solutions. It is very flexible and durable, so it will serve you for many years. 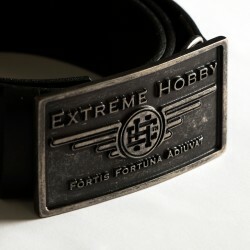 A modern and unique buckle with the Extreme Hobby logo. Leather belt FFA Extreme Hobby. 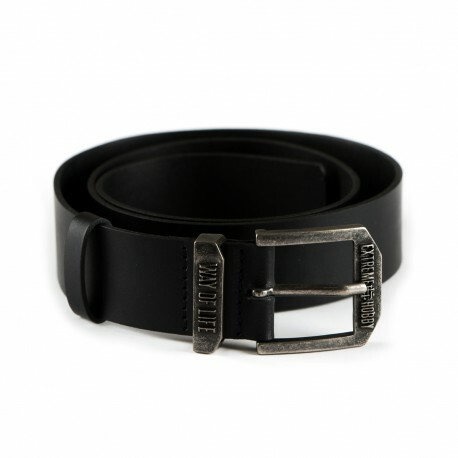 Leather belt is an excellent choice for men who value practical solutions. It is very flexible and durable, so it will serve you for many years. A modern and unique buckle with the Extreme Hobby logo. Leather belt TAIL Extreme Hobby. 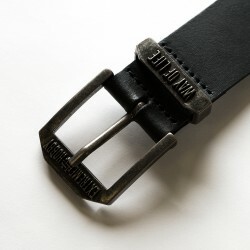 Leather belt is an excellent choice for men who value practical solutions. It is very flexible and durable, so it will serve you for many years. 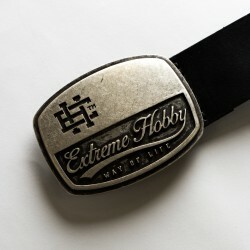 A modern and unique buckle with the Extreme Hobby logo. Leather belt BLOCK Extreme Hobby. 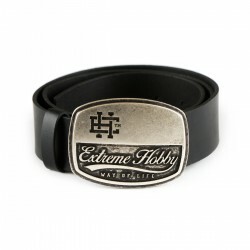 Leather belt is an excellent choice for men who value practical solutions. It is very flexible and durable, so it will serve you for many years. 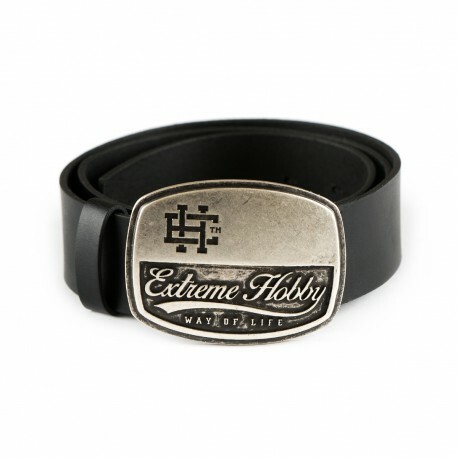 A modern and unique buckle with the Extreme Hobby logo. Crewneck Zip NAUGHTY SOCIETY Extreme Hobby. Hooded NAUGHTY SOCIETY Extreme Hobby - made of high quality cotton 290g / m, - welts in the sleeves and at the bottom of the sweatshirt, - adjustable hood, - large front pocket, - EH jacquard tab on the hood, - stripe with the Extreme Hobby logo on the shoulder, - neck strap to protect against abrasions, - high quality printing made with specialized technology, - material composition: 90% cotton, 10% polyester, - a product manufactured and sewn in Poland. Hooded RACING Extreme Hobby - made of high quality cotton 340g / m, - welts in the sleeves and at the bottom of the sweatshirt, - adjustable hood, - large front pocket, - silicone rubber with the Extreme Hobby logo on the sleeve, - EH jacquard tab on the hood, - neck strap to protect against abrasions, - high quality printing made with specialized technology, - material composition: 90% cotton, 10% polyester, - a product manufactured and sewn in Poland. Crewneck RACING Extreme Hobby - made of high quality cotton 340g / m, - welts in the sleeves and at the bottom of the sweatshirt, - silicone rubber with the Extreme Hobby logo on the sleeve, - neck strap to protect against abrasions, - high quality printing made with specialized technology, - material composition: 90% cotton, 10% polyester, - a product manufactured and sewn in Poland. Hooded TAIL Extreme Hobby - made of high quality cotton 340g / m, - welts in the sleeves and at the bottom of the sweatshirt, - adjustable hood, - large front pocket, - EH jacquard tab on the hood, - stripe with the Extreme Hobby logo on the shoulder, - neck strap to protect against abrasions, - high quality printing made with specialized technology, - material composition: 90% cotton, 10% polyester, - a product manufactured and sewn in Poland. Autumn TAIL Extreme Hobby Baseball Jacket. Short, it has a distinctive sporty cut that perfectly highlights the outsider nature of the owner. Buttoned. It has two side pockets and an inner velcro pocket.100% polyesterA FANTASTIC DESIGN OF A JACKET, IDEAL FOR WALKING, HIKING AND GENERAL OUTDOOR ACTIVITIES. Set of three pairs of socks long Extreme Hobby, which provide walking comfort. They protect the foot from abrasions and discharge excess sweat. Appropriately shaped knitted material on the heel, adheres perfectly to the foot and it stabilizes. Socks available in two options: white - black - white or black - white - black. Crewneck CAVALRY Extreme Hobby - made of high quality cotton 290g / m, - welts in the sleeves and at the bottom of the sweatshirt, - silicone rubber with the Extreme Hobby logo on the sleeve, - stripe with the Extreme Hobby logo on the shoulder, - neck strap to protect against abrasions, - high quality printing made with specialized technology, - material composition: 90% cotton, 10% polyester, - a product manufactured and sewn in Poland. Sweatpants TAIL EXTREME HOBBY: - made of high-quality cotton 290g / m, - two pockets at the front, - two pockets at the back, - Extreme Hobby embroidery on the thigh and back pocket, - welts at the waist and bottom of sweatpants, - straight trouser leg, - a string adjustment cord, - material composition: 90% cotton, 10% polyester, - comfortable and comfortable, - made in Poland. Sweatjacket WINGS Extreme Hobby - made of high quality cotton 290g / m, - welts in the sleeves and at the bottom of the sweatshirt, - large front pocket, - silicone rubber with the Extreme Hobby logo on the sleeve, - stripe with the Extreme Hobby logo on the shoulder, - neck strap to protect against abrasions, - high quality printing made with specialized technology, - material composition: 90% cotton, 10% polyester, - a product manufactured and sewn in Poland. T-shirt with short sleeves Extreme Hobby line Basic, characterized by high quality material. Cut t-shirt was created by us from scratch for a sense of comfort and originality. 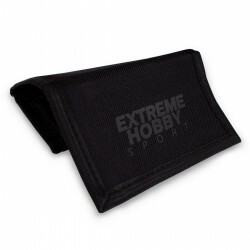 Longsleeve Extreme Hobby PLATE, characterized by high quality material. Imprints are enhanced effects HD and gel. Cut was created by us from scratch for a sense of comfort and originality. T-shirt with short sleeves Extreme Hobby line Basic, characterized by high quality material. Imprints are enhanced effects HD and gel. Cut t-shirt was created by us from scratch for a sense of comfort and originality. Cotton shorts are great for outdoor activities. In the belt puller in the form of rubber bands and string. 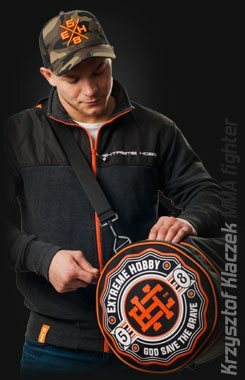 The front logo Extreme Hobby. Longsleeve Extreme Hobby HEXA, characterized by high quality material. Imprints are enhanced effects HD and gel. Cut was created by us from scratch for a sense of comfort and originality. Polyester shorts are great for outdoor activities. In the belt puller in the form of rubber bands and string. The front logo Extreme Hobby. 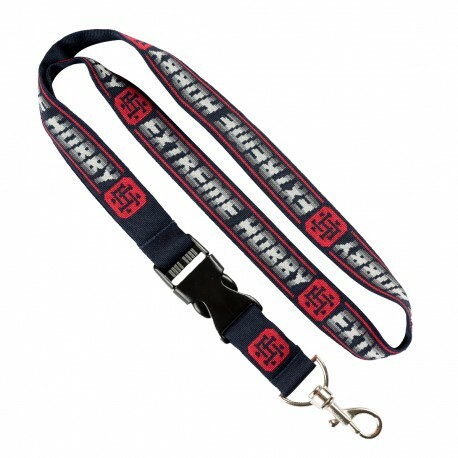 Lightweight, comfortable lanyard with logo Extreme Hobby. Very durable, removable, ideal for keys or phone. Indispensable gadget every fan of our brand.